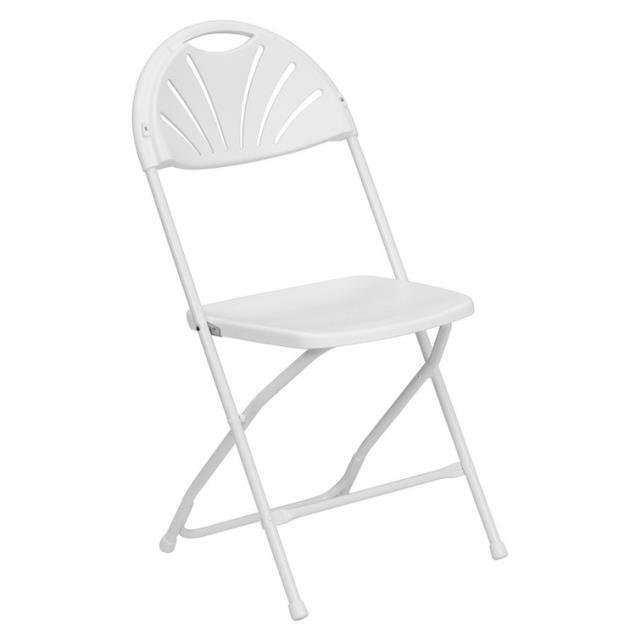 White fan back style folding chair. Has a plastic back and seat white in color with a metal frame. * Please call us with any questions about our chairs white fan back rentals in West Bend, Hartford, & Milwaukee WI.